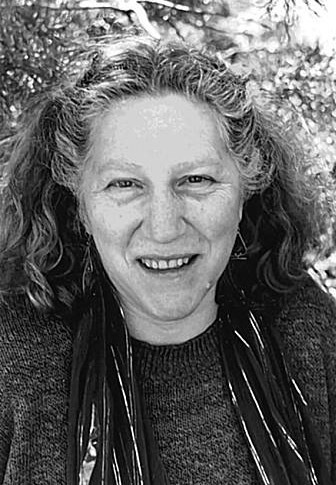 Diane di Prima was born in Brooklyn, New York on August 6, 1934, a second generation American of Italian descent. She began writing at the age of seven, and made the decision to live her life as a poet at the age of fourteen. She lived in Manhattan for many years, and is often considered the most important woman writer of the Beat movement. Among her activites: she co-founded the New York Poets Theatre, and founded the Poets Press, which published the work of many new writers of the period. Together with Amiri Baraka she edited The Floating Bear, a literary newsletter. In 1965 she moved to upstate New York where she participated in Timothy Leary's psychedelic community at Millbrook. Later she lived and worked in northern California, where she took part in the political activities of the Diggers, lived in a late-sixties' commune, studied Zen Buddhism, Sanskrit and alchemy, and raised her five children. From 1980 to 1986 she taught hermetic and esoteric traditions in poetry in a short-lived but significant program at New College of California. Her work has been translated into over twenty languages. She now lives and works in San Francisco, where she is one of the co-founders and teachers of the San Francisco Institute of Magical and Healing Arts. Her current works in progress include 'Not Quite Buffalo Stew', a satire of California life, an autobiographical memoir called 'Recollections of My Life as a Woman', and a book on Shelley as magician/poet. In June 2002, the Diane DiPrima website was launched, representing the poet's entree into the online world. No Responses to "Diane DiPrima"